Later this year, in May, I will be baking a five tier wedding cake. These cupcakes are being used for the cake tasting session with the bride and groom, my son and future daughter-in-law. The results of the tasting session is at the bottom of this post. 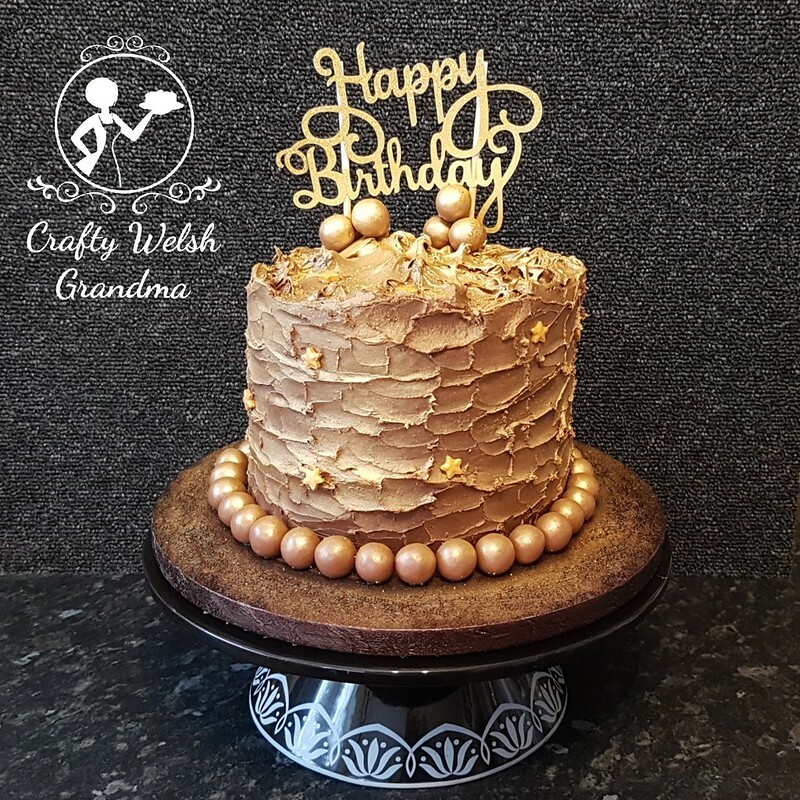 The recipe that I will be using can be found here, with the exception of the buttercream. For this tasting session, I am using my standard vanilla buttercream. You will note that the recipe states, simply, "red food colouring". I am going to assume that it means liquid colours, which I do not use. 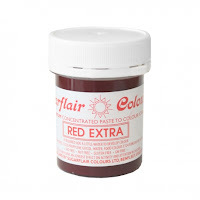 I am using Sugarflair Extra Red. 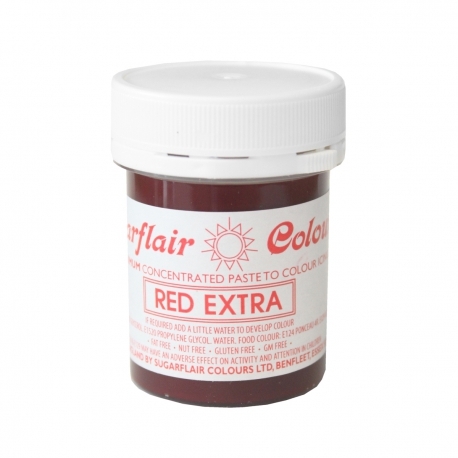 Sugarflair also make Red Velvet as a colour, but my supplier suggested this. I asked advice on the quantity and, like most UK based red velvet sponge mixes, it's all by eye. Because of the UK's stringent additives rules, we can't get the vibrant colours as our American cousins do. Therefore, when you see a wickedly amazing colour on a red velvet sponge, it can be either and America image or, well, most of the time, a packet mix. So for this, I'm looking for a rich burgundy shade. When the day comes for the big cake, I will be keeping a spoonful of coloured batter in the refrigerator to compare to the next batch of batter. 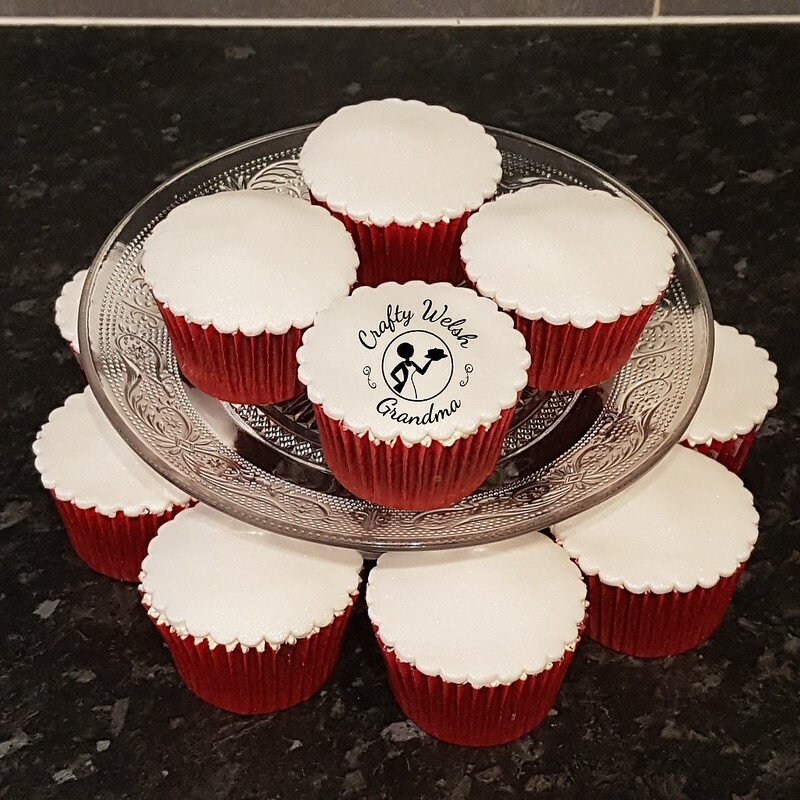 These cupcakes have been made using the sponge recipe, the buttercream and then topped off with the fondant that will be used on the cake. 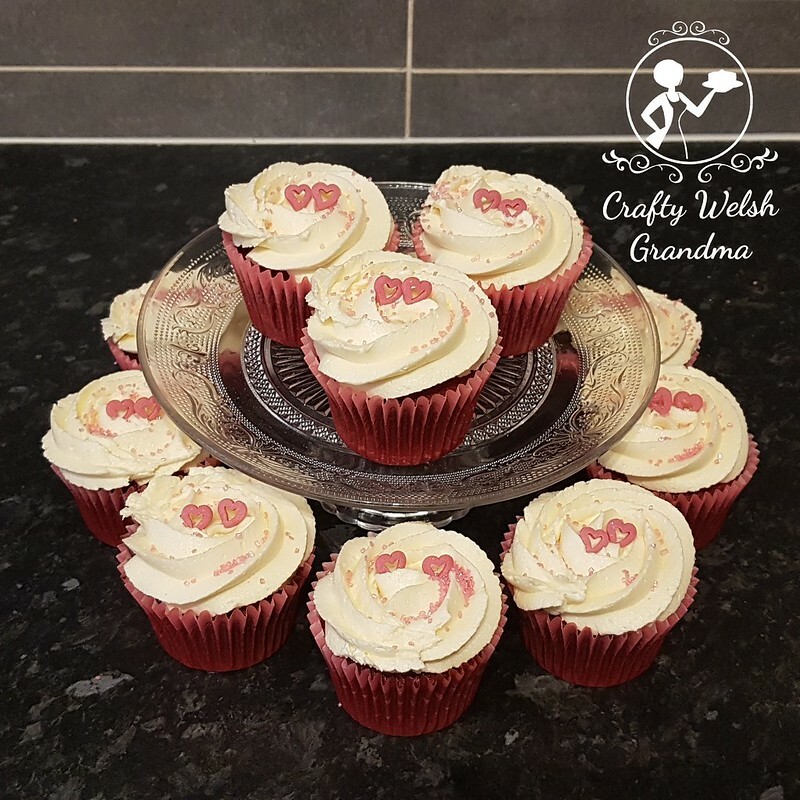 For these cupcakes, I used the medium / 9 inch cake mix here, I added 15g of Red Extra colour paste to the mix, which made 24 cupcakes. If I had scraped the bowl correctly, I could have realistically made 25, maybe even 26. I use an ice cream scoop to measure my cupcakes. Colour: The are delighted with the colour, so I will adjust the weight of the colour paste accordingly for the other layers. Flavour: No changes are required to the flavour, the recipe was perfect. Overall, this was a success and a good basis for a start.